The ORS group consists of Österreichische Rundfunksender GmbH & Co KG – Austrian Broadcasting Services (ORS) and its subsidiary ORS comm GmbH & Co KG (ORS comm). ORS was founded in early 2005, originating from ORF’s Broadcast Engineering. In 2012, simpli services GmbH & Co KG, a subsidiary of ORS, was founded for the dissemination of the TV product simpliTV. In 2015, ORS comm acquired a stake in the video on demand platform Flimmit. In recent years, ORS group has evolved from a transmitter network operator into a “Digital Content Gateway” and as a reliable partner, guarantees perfect “content transport” via cable, IP, satellite and antenna. InsysPLAY Powers Enhanced simpliTV OTT Offering for Leading Austrian Broadcast Service Provider ORS. Austrian television provider ORS www.ors.at selected the comprehensive and flexible InsysPLAY platform to significantly enhance its simpliTV OTT video service www.simplitv.at . The InsysPLAY solution provides simpliTV viewers with a richer, distinctive user experience and expanded selection of content across a broader range of consumer devices, all while giving ORS an extensible foundation for future features and growth. simpliTV previously offered its customers basic live streaming of just eight channels, which were only available on iOS and Android devices. 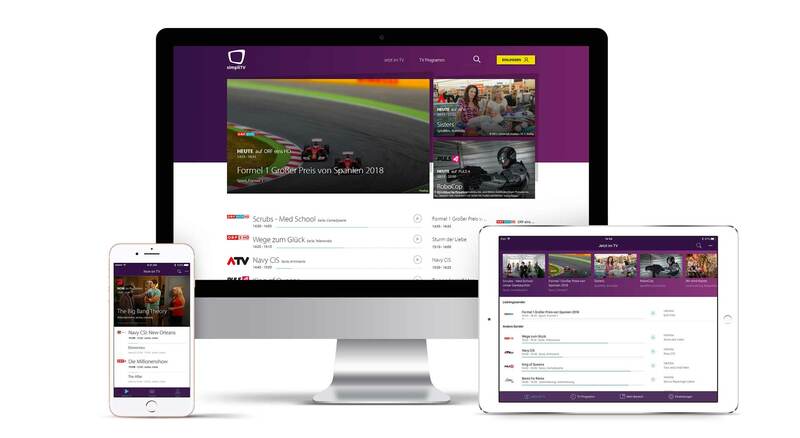 With the new InsysPLAY-powered simpliTV OTT service, viewers can watch well over 40 live channels from multiple providers on a wide array of platforms – from tablets and mobile phones to TVs and web browsers – while enjoying powerful features including catch-u, nPVR, pause/resume across multiple devices, and intelligent content recommendations. InsysPLAY is a flexible, modular OTT platform that enables media enterprises to easily manage, monetize, distribute and promote their content through client‐branded websites and apps. For the simpliTV project, Insys Video Technologies supplied a complete OTT solution including back-end and front-end application software, server hardware, Dell EMC storage systems and eight instances of the AWS Elemental Delta video delivery platform. The new simpliTV service went live in April 2018. A highlight of the enhanced simpliTV service is its new floating video player, which seamlessly integrates with intuitive yet unobtrusive EPG functionality to deliver immersive viewing experiences even while browsing programming. Leveraging over a decade of experience in researching and designing user experiences (UX) for the optimal presentation and discovery of media content, Insys tailored the rich UX foundation and options built into the InsysPLAY platform to meet ORS’ specific requirements and vision. Beyond the consumer-facing benefits that InsysPLAY brings to the enhanced service, the platform also enables robust operational and management functionality for ORS behind the scenes. API integration between InsysPLAY and AWS Elemental Delta enables ORS to offer catch-up and nPVR recording, just-in-time packaging, and DRM functionality in the simpliTV service. InsysPLAY also monitors ORS’ AWS Elemental Live encoders, and interfaces seamlessly with simliTV’s existing business systems for subscriber management and E-commerce. Complementing the InsysPLAY platform’s built-in analytics, the simpliTV deployment also integrates with Nice People at Work’s YOUBORA suite to provide ORS with advanced visualization and business intelligence. By providing a proven and flexibly configurable platform rather than a fully-custom implementation, InsysPLAY enabled ORS to lunch the service with confidence. ORS will also benefit from ongoing enhancements as Insys continue to develop new features.